We provide the best service, and hope our rug shine up your floor, make you relax and comfortable. Due to the differences in camputer monitors, actual colors may vary slightly from those shown. Dear friend,we will slip it out into 3 days, and we will choose the fast Logistics way for you ,after we ship your order, you will receive it much faster than the expected date. 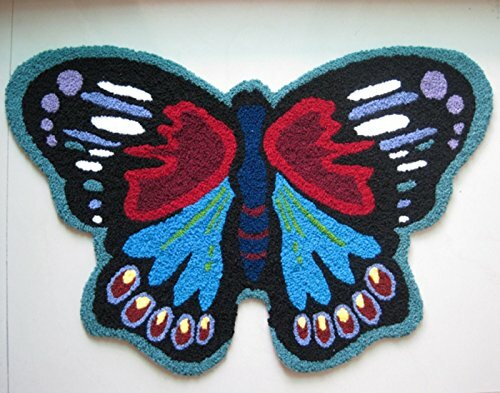 Material:Acrylic and polyester.This rug has a high quality. Do not fade,do not shed hair,use a vaccum or scrub to clean. This rug suites for living room, bedroom and wherever you want to put. Because it is handmade product, actual dimension may vary in 1~3cm. Thank You ! If you have any questions about this product by Wolala Home, contact us by completing and submitting the form below. If you are looking for a specif part number, please include it with your message.